PlayStation Vita TV won't be released in the West any time soon, Sony has told heartbroken gamers across the world. 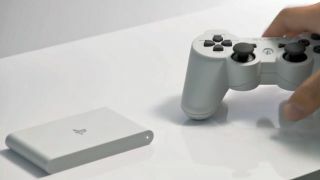 The device, which plays PS Vita games and streams PS3 and PS4 titles, is aimed primarily at the Asian market right now, Sony Computer Entertainment president Andrew House said in a roundtable interview. The microconsole was announced at the Tokyo Game Show earlier this week, and will be released in Japan on November 14. "The reason why it will be launched in Japan earlier than in other countries is that there is no leading company in Japan's video streaming market," said Houser. "The company is planning to sell the PS Vita TV in China, South Korea, etc, but not in the US and European market at this point." Alongside the PS Vita TV, Sony also announced a redesigned, slimmer PS Vita handheld that uses an LCD screen instead of the OLED display found in the current model.